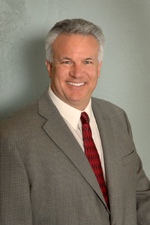 Dr Menos enjoys keeping current with new techniques in dentistry through continuing education seminars and study groups with a special interest in implant restoratives and cosmetic dentistry. He is dedicated not only to providing the best of his education and experience but also to providing a comfortable atmosphere. Dr. Menos was honored to be nominated as one of the Post Crescent’s “Volunteers of the Year” for charitable dental work he has done for the underprivileged. In addition to his busy private practice, Dr. Menos is an executive board member and a volunteer dentist at The Tri County Dental Clinic which was established to serve low income patients in our community. At that same institution Dr. Menos is also a preceptor for Marquette students. His hobbies include fishing, hunting, classic cars from the past, and bird carving. Dr. Menos and his wife Mary live in Appleton and have five children. 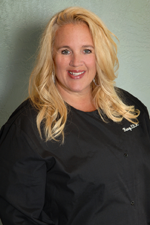 Kerry graduated from North Central Technical College in 1985 with high honors as a Registered Dental Hygienist. 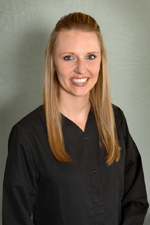 She is a very caring hygienist with a gentle touch. She grew up and still lives in Fremont, WI. In her spare time she enjoys spending time with her family, flying airplanes, swimming and boating. 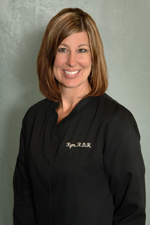 Paula is a Dental Assistant and graduated from Fox Valley Technical College and has been with Dr. Menos since 2009. Paula enjoys assisting chair-side with Dr. Menos as well as helping patients at the front desk. In her free time she enjoys walking her dog and spending time with her friends and family.